[PDF] Principles of Foundation Engineering, SI, 7th Edition | Free eBooks Download - EBOOKEE! 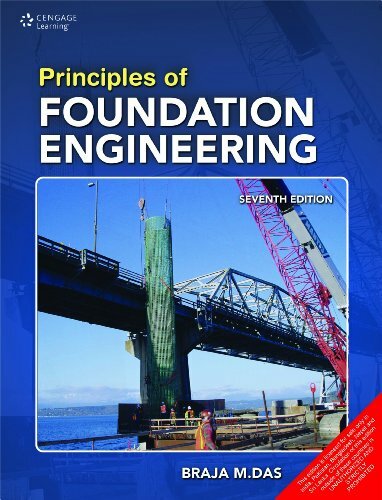 Description: Originally published in the fall of 1983, Braja M. Das Seventh Edition of Principles of Foundation Engineering continues to maintain the careful balance of current research and practical field applications that has made it the leading text in foundation engineering courses. Featuring a wealth of worked-out examples and figures that help students with theory and problem-solving skills,the book introduces civil engineering students to the fundamental concepts and application of foundation analysis design. Throughout, Das emphasizes the judgment needed to properly apply the theories and analysis to the evaluation of soils and foundation design as well as the need for field experience. No comments for "[PDF] Principles of Foundation Engineering, SI, 7th Edition".